I’m addicted to travel ! Hi guys it’s not easy i can’t seat in a chair too long … after a second i need to move i need to explore i need to do something, i’ m an aries and this means that i’ m super active ! Right now i do have an idea to second after i do have another one .. they all look great, fantastic i would like to get them done immediately …. i know i know i ‘ m getting older and now i’ m slowly learning that great projects great ideas needs time to be developed ! Even Rome wasn’t built in a day ! And here you are my story ! I was born and raised between Venice and Treviso, my passion for languages and travels started early! It started with little trips with mom and dad to see the beauties of my homeland, the historical towns and villages around my area! Mum and dad travel abroad twice .. so i dont knwo exactly here my passion is coming from , i dont which ancestor was the explorer of the family .. or maybe i know …. hold on a sec! My grandfather which was italian was born in Brazil at the end of the 1800, Brazil in those years was giving land to different people in oder to develop the country .. As the territory wasn’t that easy .. my family decided to come back in to italy ! My grand mother and my grandfather, ( my dad wasn’t born yet), and that was going on before the WWII, tried to go to Argentina as part the sister of my grandmother was there …. but the family was refused in Trieste as my grandfather had cataracts ! The war was starting and my father was just born .. from that point my family never tried again to go abroad again ! I was born in 1976, raised between venice and the venetian countryside, prosecco, cheese history are my roots! I m always been super curious need always to knwo more and discover more ! That’s probably why i attended a school for tourism i studied languages ! Thanks to the Mazzotti School based in Treviso Italy i ve been so lucky that i started my passion in traveling and thanks to the school i took my first trip to the United Kingdom and then to Germany and then to the eternal city Rome, that were the early 90 and my adventure was about to start and blossom ! Traveling blowed up my mind .. meeting new people , exchange point of view, different way of life … new food, new dishes, new pastries, new cakes woooooooowwwww that would have been my feature !I finished the school in june 1996 that was in the morning and in the afternoon i was starting a job, i always been lucky never waited to long for a job ! At the real beginning i started as a htoel reception in a pretty large hotel with multicultural people and tours … americans, chinese, british, japanese ! That was awesome been able to communicate with so may different cultures ! i ve been a reception in the venetian countryside for 4 months, i didn’t lasted much ! As i discovered i new job, the tour leader, thanks to all the group coming and going in the hotel ! I spoke with many tour leaders in those 4 months and traveling around europe organizing tour excursion, problems solving complaints .. difficult situation, to a boy not even 20 years old at tat time sounded like a great challenge and a fantastic way to travel the world and develop different skills ! That sounded the perfect job of my life ! The first company that i ve applied was cosmos globus, i ve been refused because i didnt have attended my military service jet .. and at that time was still compulsory ! So since that Mother italy didnt call me jet in the army, i ve decided to go abroad to study english … first stop London! For an italian living the family is always early even when your are 80 year old .. leaving at 20 year old and going in a different country, not eating pasta everyday or tortellini or gnocchi that was just a big tragedy that was just madness ahhhhh! Anyway i left home and moved to London, my little experience of that time was 4 month of receptionist, and that wasn’t helping me much ! 3 day later after my arrival in London i was already working in a bakery ruined by idian and i was teacher by a philippine guy about how to do italian pizza in london ehhhhhh! That was a melting pot, that was interesting to understand and digest all at the same time! I didnt last much in the bakery … as long i had the possibility i moved to a different job .. i figured it out that in London was normal compare to the life time agreement in Italy where you start your first job for sure you ll die there !!! The new challenge was a job in a hotel in leicester sq. London and work as a receptionist i worked there from november 1996 to march 1997 …. why i quit simple, grandma ( the rock of the family .. started to smoke cuban sugar when she was 14 against the spanish flue … we are talking about 19914 1915 and the government was forcing the little girl to smoke cigars and the little boy to smoke the pipe .. grandpa used to smoke the pipe) died at the young age of 96 years old ! I wasn’t able to able to organize a flight straight back home for the funeral unfortunately .. but went back home to see the situation ! Stayed home few weeks then went back to the London .. next plan was Leeds as some friends where moving there, and moving back to a small place compare to London was a peace mind rest ! Unfortunately the postcard of my call to the army arrived and in july 1997 started the military service .. 10 month to mother Italy ! As long i finished i wanted my life back i wanted to travel again .. at that point i wrote Cosmos Globus to see if any position was available at that moment ! I didnt even had the time to finish the military service that i was already on a coach instruction tour .. which didnt lasted much .. the time to go from Venice to Assisi … approximately 5 hours of instruction tour all together !!!! Cosmos told me that they had an emergency and they needed somebody to start a tour right away in Calais ehhhh Calais ehhh Calais .. what’s that something that you eat ??? No no it s a city in the northern part of France just on the other side of the channel, opposite to Dover … here we go i was already in a bus ready to go … but i didnt know where exactly ! The first tour has been tough i didnt know exactly what i had to do … where to go what to say etc etc and by the time that i reached Italy and Venice i was asking myself if this was the right job the right moment and the right time ! At the end the answer was YES and suddenly i figured out that my working office was pretty large it started in Portugal ended up un Russia It was going from North Cape and it was ending in Greece wow, amazing ! From 1998 till 2007 i ve done european coach tours mainly with english speaking clients, in all this time i had many different experiences, i learned a lot and i m still learning reading and updating ! What a great opportunity i had and i m stil having i ve been pretty fortunate! So in all this time i live in London, Munich, Frankfurt, Praha and i ve been moving around for a little bit! 2007 it was the time of change .. i need to settle down a bit to make the point to see how far i was ! Ah i forgot during my spare time when i wasn’t traveling much and i was back in Italy i worked in a trvel agent organizing tours, executions and coat and car transfer all over europe ! They told me that i would have done a lot of road in my life … but i would never tought that i would travel so many country that of been a tour leader ! In 2007 together with a friend we started to collaborate into a project call www.trevisocarservice.com rent a car with driver, we started to developed transfer and tours mourned the Venice area! In the meanwhile i was working with monograms, a branch of Globus in Venice following and taking care of the clients that where traveling around Italy with the train ! But it wasn’t enough i need something different something more exciting ! 2009 i started to built up my first website www.tourleadervenice.com where i was promoting, and i m still promoting tours in the Venice area, tour off the beaten path, tour of the lagoon of the dolomites, wine tasting tours of the prosecco or palladian villas or cheese tasting .. i always wanted to promote my home land to the world and giving to the people coming this part of the world the felling to be special and feel like home ! 2009 since venice wasn’t enough i decided to create www.tourleadertreviso.com a website dedicate to Treviso, the place where the tiramisu cake has been invented, salami prosecco, great landscape ….why a website to promote my homeland ?? Because nobody in this area is doing enough to promote it, not many pope knows this place unfortunately ! Tuscany …. they have done and amazing marketing job, Veneto they dont even know yet what to do with tourism ! And this is a shame, we are just missing opportunities one after the other! Guys that’s why october 2018 i turned the entire project into an incoming travel agent! we wont to promote this area especially the non touristic one and show the people the beauties of this land getting away from all the big tourists traps show the real Italy the made inItaly the place of hand made the real food! I’m from Treviso/Venice so I’m 100% italian, and I’m a licensed tour leader. I attended a school for tourism and i studied languages like english, german and french. The same day that i finished the school and passed the exams I started to work in tourism … I worked as a receptionist in a 4 stars hotel close by the Venice area… at this point i started to fall in love with tourism and I became eager to know more and more about culture, places, cities, languages and new culture. In 1996 from Italy i moved to London for a new great experience and to practice my english, I worked in an hotel again as a receptionist and in the mean while I was studing english. In 1998 I’ve been started working for Cosmos www.globusandcosmos.com and, thanks to this company, I started to travel and work all over Europe: from Portugal to Russia from the North Cape to Greece. During this great experience, I learned a lot meeting people from all over the world, sharing experiences and knowledges. 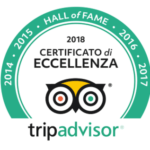 In 2007 I moved from the grand tour of Europe to my homeland … I can help you to organize your stay like hostess/steward service, accomodations, tours to the Dolomites, wine and cheese tours, 16th century villas tours, handicraft tour, gondola tour in Venice to see the movie sets and much more. Let me be your Venetian expert. To all the people that are coming to Venice or Treviso, Italy you can get in touch with me asking me simple questions or i can work for you…. I can give you a GOOD HAND sharing my regional hints, making suggestions for sightseeing, excursions, getting around town, shopping, dining, transfers and assist you with informations to help you to customize your trip, SAVING YOU PRECIOUS VACATION TIME! 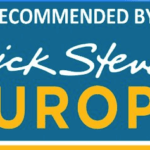 Since the 2008 I’m recommended in the in Rick Steves’ (rick steve’s venice, rick steve’s italy and rick steve’s europe).